We, the Albert family have a long tradition of dealing in construction machinery. Heinrich Albert first began dealing in trucks in 1956. Later he specialised in construction machinery. His son Bernhard Albert continued the tradition, setting up independently in 1974. The BAUMA hire and trading company (Vermiet und Handels GmbH) was founded in 1994. Bernhard’s elder son Alexander Albert joined his father in the business in 1995. A year later, his second son Matthias started to work for the company. The family company was complete when Bernhard’s daughter Mareike B. Albert joined forces with her brothers in 2002. So our successful family business now spans three generations. Rapid expansion led to a first move in 2001, when consequently, storage facilities and offices were moved from Wiemersdorf to Großenaspe. Our almost 20.000 m² storage location on the Großenaspe industrial estate also include our workshop, truck wash and conditioning facilities. Our convenient location near the A7 motorway and close to the ports of Kiel, Hamburg, Lübeck, Travemünde, Bremerhaven and Cuxhaven makes us easy to reach for both our German customers and our many foreign customers. BAUMA buys and sells mainly wheel loaders, bulldozers and articulated dump trucks, as well as skid loaders, mobile excavators, industrial and crawler excavators. 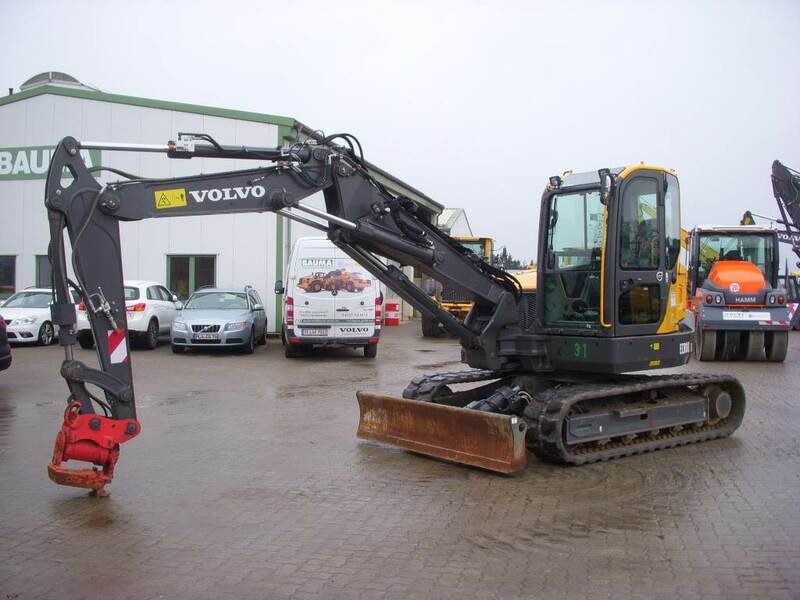 It also offers backhoe loaders, compactors, graders and crawler cranes. 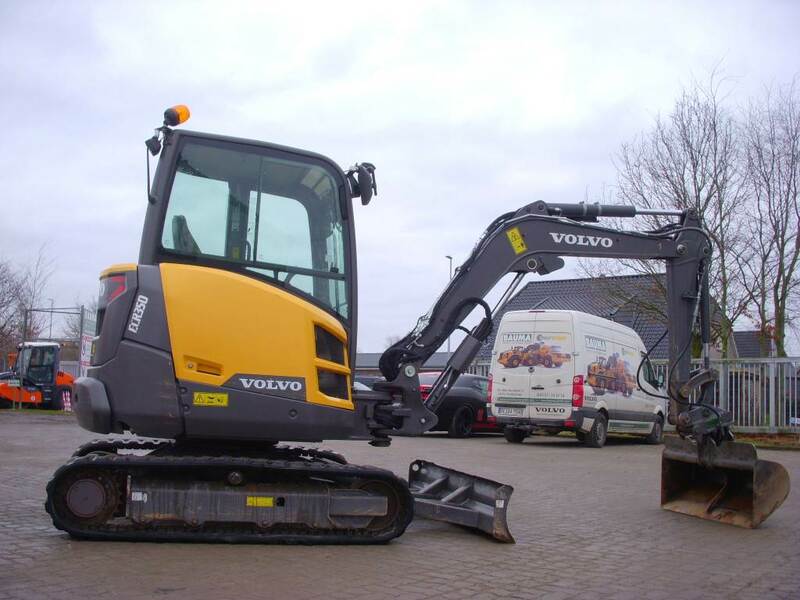 All machinery is from well-known manufacturers such as VOLVO, CAT, Komatsu, LIEBHERR, Hitachi, Bomag and Hamm. Around the year 2000, BAUMA decided to market another line of business: the rental of heavy pipelayers. The company now owns approximately 60 heavy pipelayers and welding tractors. The pipelayers can be deployed on large diameter pipelines as their lifting capacity vary up to 105 t. Welding tractors can be used for manual or automatic welding. With its fleet of equipment, BAUMA can bridge the temporary need of pipelaying equipment by pipeline construction companies worldwide. Currently, BAUMA has a total fleet of more than 300 machines, among which around 200 machines for rental. By the end of 2018, BAUMA had purchased 70 new machines and 40 compact size machines. With this investment and renewal of its fleet, BAUMA again meets the requirements of its customers. BAUMA tries to maintain the spirit of a family business with limited overhead, be most flexible for their customers and follow an attractive approach offering added value. BAUMA’s consistent expansion over the past years has led to again the engineering and construction of a new HQ on its existing premises in Grossenaspe, Germany. It will include no less than 5 workshop bays to maintain and repair the equipment. Construction kick-off will be by mid 2019.